KGK Science is an established clinical research organization providing services in both Canada and the USA. For this website design solution we moved away from two separate websites and brought them together using one main landing page. 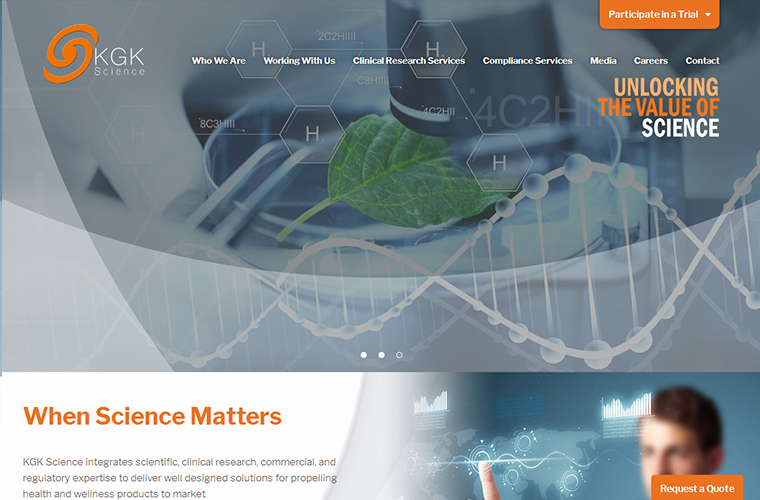 The Clinical Research Services area of the website has a more corporate look and feel, whereas in contrast the Join a Study section has a softer more welcoming feel. This website was created in WordPress and provides our client with full control over web page content.